"These are not global hubs that can handle dozens and dozens of aircraft on the ground at a single time." An Air Transat Airbus A330 lands at Montreal's Trudeau Airport on July 31, 2016. Air Transat has launched an airlift to get all its travellers out of the Dominican Republic ahead of the arrival of hurricane Irma. MONTREAL — Evacuating customers from areas in the path of the deadly Hurricane Irma has frustrated some passengers but Air Canada says it was perhaps the most complex manoeuvre since the Sept. 11 terrorist attacks. The country's largest airline has had to respond to natural disasters like the Japanese tsunami, Haiti earthquake, Iceland volcano and several terrorist attacks. But the breadth of the storm and time spent dealing with it made it the most complicated in 16 years, says Kevin O'Connor, managing director of systems operations control. "This is leading it up there and we're not out of it yet," he said. O'Connor acknowledged that there have been some complaints, but he said responding to the storm isn't as simple as just adding a few flights. A firefighter views a collapsed coastal house after Hurricane Irma passed the area in Vilano Beach, Fla. on Monday. An Air Canada passenger plane, for example, wasn't allowed to leave the Turks and Caicos with evacuees for several days. Local authorities had safety concerns as the airport was badly damaged by Irma, but the plane was scheduled to leave late Monday after Canadian officials negotiated its departure, said Transport Minister Marc Garneau. "I certainly understand how (the Canadians still in the region) are feeling stressed and I can understand how their relatives are feeling stressed," Garneau said. "But quite often there is a logical explanation." The federal government said it had received requests for assistance from 368 Canadians, though they acknowledged there may have been others who hadn't yet been able to get in contact with Global Affairs. A storm of criticism erupted over the weekend from family and friends of Canadians trapped by the hurricanes, who questioned why more wasn't done sooner. Many noted that the U.S. and several other countries had deployed their militaries to evacuate citizens and wondered why Canada hadn't done the same and was instead relying on commercial airlines. One of the Canadian Armed Forces' massive C-17 transport planes is scheduled to ferry humanitarian supplies to the region later this week and will be available to evacuate any stragglers. In all, Air Canada say it has operated 24 special flights over three days and transported nearly 7,000 passengers. It's not alone in making the last-minute adjustments. 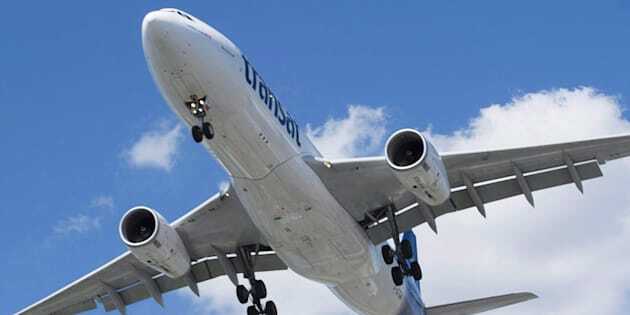 WestJet, Air Transat, Sunwing and U.S. carriers also went into action. WestJet Airlines (TSX:WJA) operated 22 rescue flights — 18 before the hurricane to the Dominican Republic, Cuba and Florida and four after the storm to St. Maarten and the Turks and Caicos. Sunwing Airlines said it has sent nearly 30 flights to return customers from destinations under hurricane watch or warning. It said the high number of passengers in Cuba, unexpected airport closures and the complexity of transporting people to the airport complicated the effort.